Video sharing is pretty much the Texas tea of the tech world at the moment. Facebook are busy copying Snapchat (to the point where Messenger has basically become a clone of it), Twitter spent most of last year attempting to consolidate the live-streaming race and platforms like Twitch are fast becoming major social media contenders above and beyond their original intended purposes. Google have played around with a few different video sharing tools over the past few years, but none have really caught on. Uptime may well be the one to change that. 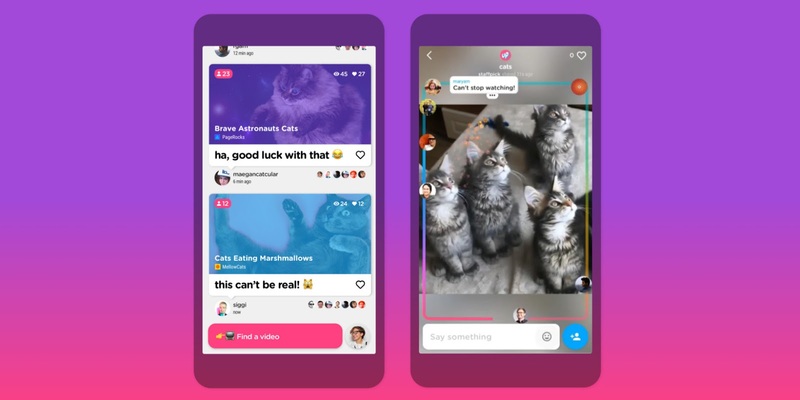 Developed by some minds from Area 120, Google's 'start-up incubator', the app allows you to share videos with your friends. Pretty standard fare, right? Well, there's more. While you're watching a video, a little profile icon at the top shows this, as well as anybody else who might be watching at the same time you are. While the video is playing, you can fire off emojis in real time, showing how you're 'reacting' to the video, in a very similar (read: identical) fashion to Facebook Live. It goes further though, your comments will also appear in the same way, making the whole thing almost seem like a real time chatroom. At the moment, you can't actually create video content, you can only share YouTube clips, but presumably the capability for recording video (and live-streaming) is on the way. At present, it's also invite-only, and exclusively on iOS. For this reason, you won't find many other people using it yet, and even those who are aren't easy to find. The 'Find Friends' function is just for inviting new people and there's no apparent way to seek out a specific user yet, you're left to rely on the suggested friends the app offers you. Gaps like this are too gaping and too obvious to be functionality flaws, though. Since the app is available in such a limited capacity, this is probably tantamount to a beta test, and once Google have some meaningful data to play-around with, the app will be expanded and made more widely available. Is Uptime's USP enough to make it stand out from the crowd, though? The easier answer is no, there's nothing here that's interesting enough to draw users away from Snapchat, but being able to link your Google account may be a key factor. If Google market this as a counterpart to YouTube, it could well enjoy a surprising amount of success, but if they neglect this link, I can see Uptime ending up as a fun distraction at best, and a failed experiment at worst.